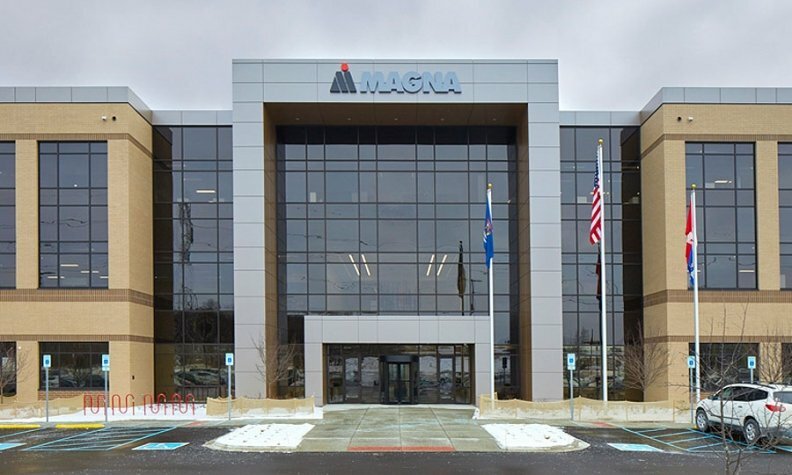 DETROIT -- Magna International Inc. opened the new headquarters for its seating division this week in the Detroit suburb of Novi, Mich., Magna said in a statement. The Canadian supplier invested $62 million (US $48 million) in the building for Magna Seating, which also had its previous headquarters building in Novi. Construction ran from December 2015 to December 2016. The three-story, 180,000-square-foot building holds 450 accounting, purchasing, human resources, engineering and sales and marketing employees. It’s not far from Troy, Mich., where Magna International’s U.S. operations are based. “Our new space allows us to be flexible and cost-effective with the ability to seamlessly communicate globally through the use of intuitive technology,” said Mike Bisson, president of Magna Seating, in a statement. The release said Magna surveyed employees ahead of construction so it could include design and layout elements such as shared work spaces, high-tech conference rooms and secured, private product development areas for Magna customers. Magna International is headquartered near Toronto. It ranks No. 3 on the Automotive News list of the top 100 global suppliers, with worldwide automotive parts sales of $41.8 billion (US $32.13 billion) in 2015.